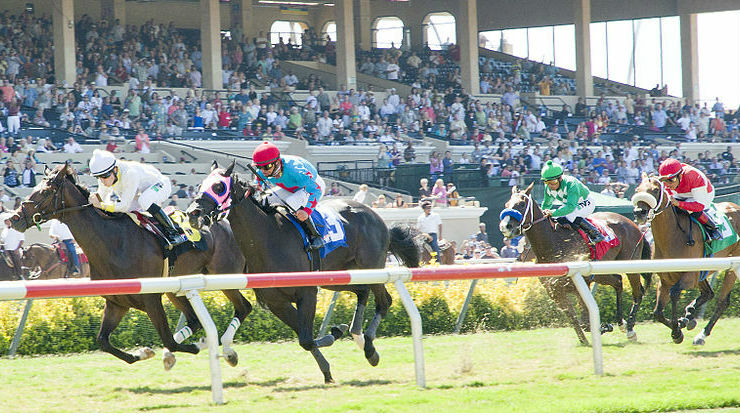 The Breeders’ Cup World Championship will be held at Del Mar in 2017, it was reported Friday. Although the official three-year schedule will be announced at Santa Anita Park on Tuesday, U-T San Diego reported that the local racetrack was picked to host the weeklong racing event in three years — although the exact dates for the 2017 Breeders’ Cup have yet to be announced. This year’s series of Thoroughbred races will be held Oct. 31 and Nov. 1 at Santa Anita. The 2016 races will push the Los Angeles County racetrack ahead of Churchill Downs into the record spot of hosting the annual event nine times. Keeneland in Lexington, Ky., will host the races next year followed by Santa Anita again in 2016, then Del Mar, according to the newspaper. The 2015 and 2017 Breeders’ Cup races will be the first hosted by either venue. Del Mar was in the running to host the 2016 races, but concerns arose over holding the event at new venues two years in a row, U-T San Diego reported. The Del Mar racetrack has installed a new turf course and will replace its synthetic Polytrack with a dirt surface over the next year, according to the Los Angeles Times.